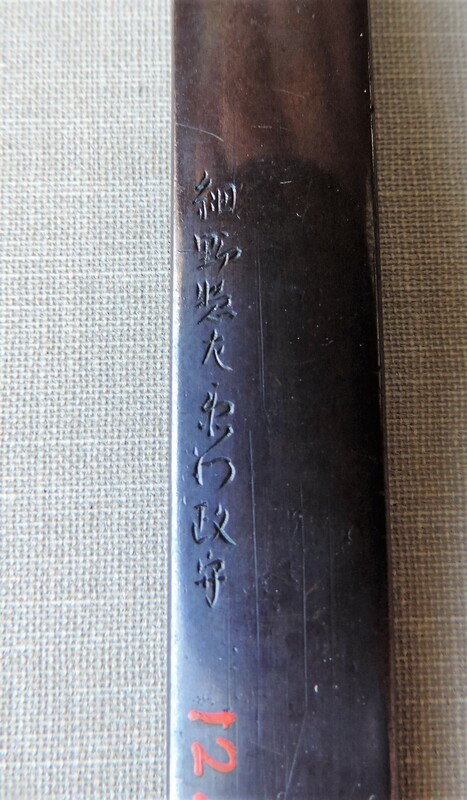 A Kozuka of shakudo depicting figures in a landscape with Mount Fuji in the distance. 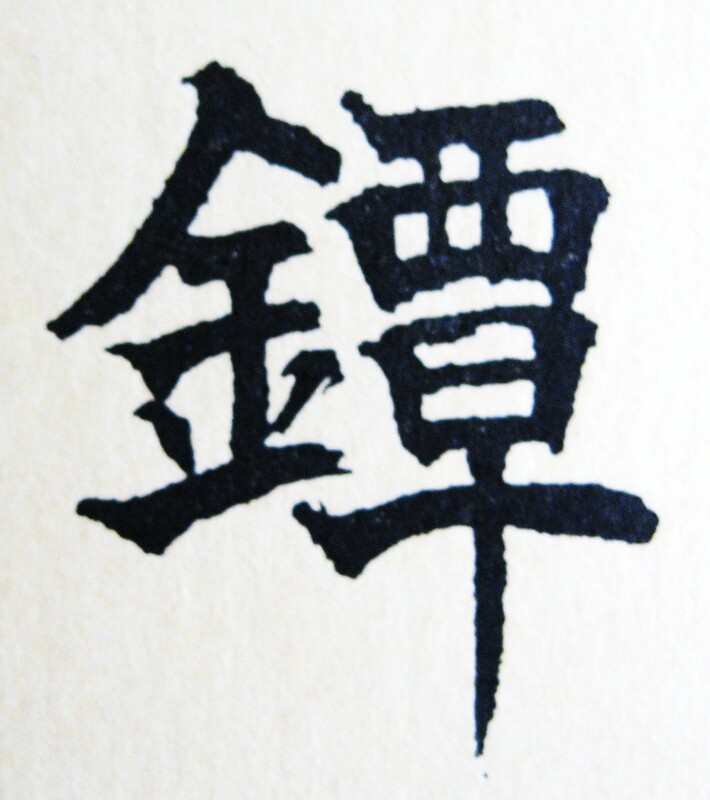 The mei reads... 'HOSONO SOZAEMON MASAMORI' . This prolific artist mostly made minute inlay of figures in various flush metals with surface carving. This is a first-class example of his work.